How do we walk in the way of wisdom? How should we respond to suffering? How can we cope with life's frustrations and sorrows? How ought we to weep? How ought we to love? The answers can be found in the great "how-to" books of Scripturethe Old Testament's wisdom literaturebut unfortunately, these books are frequently overlooked in biblical theology, despite their immense significance for God's people. 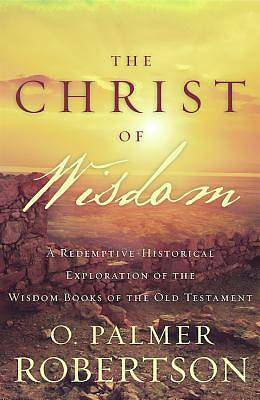 O. Palmer Robertson introduces the concept of biblical wisdom before providing a redemptive-historical analysis of Job, Proverbs, Ecclesiastes, Song of Songs, and Lamentations. These neglected books offer the contemporary reader inspired insight (and a solid dose of godly realism) into every major realm of human existence: from love and intimacy to grief and calamity.